Paradera Park was a sight for sore eyes! The scenery and greenery in the establishment is really wonderful to look at, and wake up to. You can tell the owners put a lot of love into the place. It is very clean, and has a very calm, and relaxing vibe about it. The staff was very helpful and courteous. We really liked that we were able to cook in the room to save some money, as the room had a stove, dinnerware, and a fridge. Nearby, there is a Tesco grocery store where we did our food shopping. It was a short 4 minute walk. The area is also safe. Everything else, while it is a little far from the beach they have created a little oasis in the desert. The pool is a nice size with lounge chairs set around to relax on. The area is beautifully landscaped with palm trees and flowering plants, lots of butterflies! The owners were welcoming and accommodating. They provided beach chairs and towels to take with us to the beach. Our room had a nice little kitchenette, as we only stayed 2 nights we really didn't get to use it or the poolside BBQ. Would highly recommend this place! Location was beautiful, serene an oasis from the hustle and bustle of the hotel district but accessible to any of the beaches or sites. I loved everything else about the property. It was clean, beautiful and very comfortable. Everything was just beautiful! Oh...and I loved the bath hand gel and shower gel!! This was a great experience for us. The staff was extremely friendly and helpful. It was my friend's birthday and they surprised us with a Champaign breakfast. Thanks to Hank he also blew up our float. This was everything and more that we expected!!!! We were looking for an oasis garden vibe and not just a hotel and we got it. We'd recommend this hotel to anyone visiting Aruba. LOVE IT!!! Like the service, Host was there to meet us upon arrival. The place was clean. And quite just what we were looking for to spend with brothers and sisters. Good quality time. Location was just great. We included Breakfast, and was very happy we did. Got late check out with not extra cost. Very much appreciate. Super friendly check in, spacious room with a big bathroom and a beautiful view of the garden. 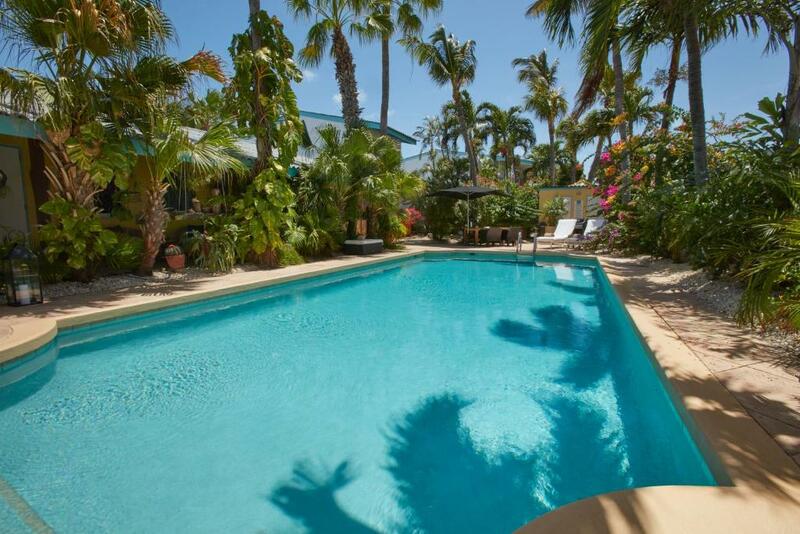 The pool amd the garden including hammocks and plenty of loungers invite you to spend time at the place. Beachchairs and cooler box were provided, which is superuseful when you head out for the beach. We really enjoyed our stay and can only recommend it! Owners Debbie and Hank are great. Very Helpful. Wonderful people. 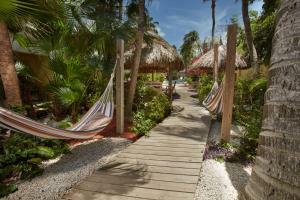 Lock in a great price for Paradera Park Aruba – rated 8.9 by recent guests! Paradera Park Aruba This rating is a reflection of how the property compares to the industry standard when it comes to price, facilities and services available. It's based on a self-evaluation by the property. Use this rating to help choose your stay! This resort is 10 minutes from Palm Beach and Eagle Beach in Paradera, Aruba. 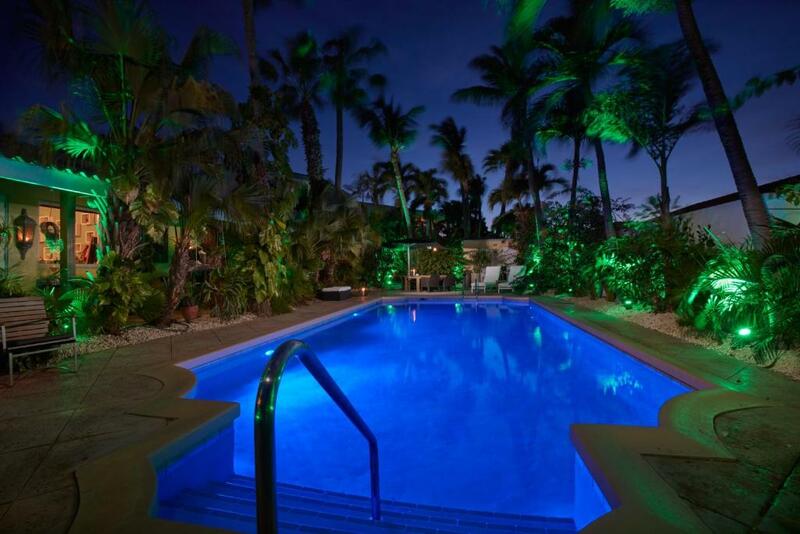 It features landscaped tropical gardens and a large outdoor pool with a sun terrace. Guests will receive a welcome drink. The studios and suites at Aruba Paradera Park are soundproofed and include cable TV, free WiFi and an in-room safe. They are furnished with a large private balcony or patio and the kitchen is complete with a hob, refrigerator, and microwave. Cookware and dishware are provided. Local calls can be made at no extra cost. Housekeeping is provided every day. Snorkeling equipment rental is available at this Aruba resort. 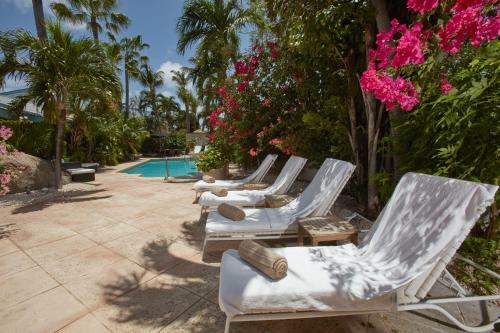 Cabanas, hammocks, and lounge chairs are located around the pool. Free beach towels, chairs and a cooler are also available for beach visits. A library and business services are available too. The hotel can assist with directions and reservations. Downtown Oranjestad is 5 minutes' drive from Paradera Park Aruba. The Casibari rock formations are only one mile from the resort. This property is also rated for the best value in Oranjestad! Guests are getting more for their money when compared to other properties in this city. 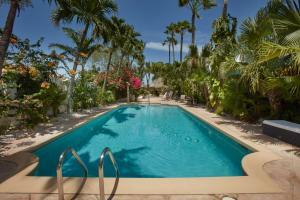 When would you like to stay at Paradera Park Aruba? This air-conditioned studio offers flat-screen cable TV, free WiFi, in-room safe, telephone and exclusive Aruba Aloe toiletries. Local calls can be made at no charge. There is a private balcony or patio, and guests will also find a fully equipped kitchen that features an espresso machine with complementary welcome coffee. For added convenience, beach towels, chairs and a cooler are provided. This air-conditioned studio offers flat-screen cable TV, free WiFi, in-room safe, telephone and exclusive Aruba Aloe toiletries. Local calls can be made at no charge. There is a terrace with access to the garden, and guests will also find a fully equipped kitchen that features an espresso machine with complementary welcome coffee. For added convenience, complimentary beach towels, chairs and a cooler are provided. The bathroom contains 2 washbasins. This air-conditioned suite has 2 separate bedrooms. It features a flat-screen cable TV, free WiFi, 2 in-room safes, a telephone and exclusive Aruba Aloe toiletries. Local calls can be made at no charge. There is a large terrace with access to the garden, and guests will also find a fully equipped kitchen that features an espresso machine with complementary welcome coffee. For added convenience, beach towels, chairs and a cooler are provided. The bathroom contains 2 washbasins. This split-level suite includes air conditioning and a living room with a flat-screen TV. It also features free WiFi, in-room safe, telephone and exclusive Aruba Aloe toiletries. Local calls can be made at no charge. There is a large, furnished patio with a view of the pool. Guests will also find a fully equipped kitchen that features an espresso machine with complementary welcome coffee. For added convenience, beach towels, chairs and a cooler are provided. The bathroom contains 2 washbasins and a hairdryer. An exclusive tropical escape set in the heart of Aruba, Paradera Park feels like your own piece of paradise. Dedicate your days to total relaxation, take a dip in the refreshing palm-edged fresh water pool, or sip a cocktail in one of the shaded swaying hammocks. As the evening draws in, grill some fresh local fish on the BBQ and dine in or, head out to one of the multitude of local or international restaurants that our expert staff will gladly advise. When you’re ready to explore, you’ll find all of the island’s captivating charms within easy reach. Head into the bustling Oranjestad to discover museums, art galleries, local boutiques and waterfront bars. Or spend the day out on (or in) the water. Tour the island by sailboat, venture out on a fishing trip, or try your hand at snorkelling or scuba diving to explore the bright ocean life. The area is paradise for nature lovers, too, with plenty of bird-watching spots, hiking & mountain biking trails. For utmost flexibility, rent a car, the National Park and sites of interest are just a few minutes away. Founded in 1993 as one of the first independent full service apartment resorts, Paradera Park has evolved into an intimate boutique style resort, offering the utmost personal service and always keeping the traveler in mind. Family owned and managed, we are proud to welcome back many return visitors each year, whether travelling for business or leisure. 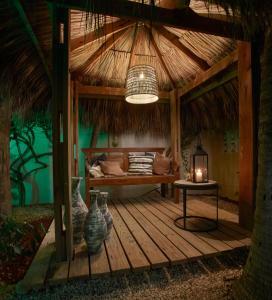 Gentle trade winds make this intimate oasis blissful to stay in and read a book from our library, surf the web on high speed Wifi or just wander around the stunning tropical gardens, teeming with birds, butterflies, swaying palms and exotic flowers. Paradera Park is locally referred to as ‘The Tropical Oasis’, set in 2000m2 of tropical gardens in which the accommodations are privately situated. We will gladly share our island knowledge to help you explore and enjoy this unique little island in the way that you want to. 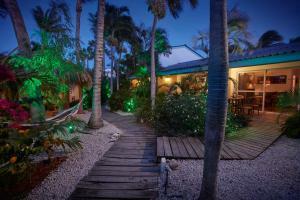 House Rules Paradera Park Aruba takes special requests – add in the next step! Paradera Park Aruba accepts these cards and reserves the right to temporarily hold an amount prior to arrival. Please inform Paradera Park Aruba of your expected arrival time in advance. You can use the Special Requests box when booking, or contact the property directly using the contact details in your confirmation. I recommend having a car if you stay in this neighborhood, as things to do aren't close by, although aruba is very small; the taxis have a flat rate. Everywhere we went to and from here was $25 USD, which adds up. The ad mentions a welcome drink which is nice - we didn't receive one, but we also didn't ask for it. Only thing was no WiFi in the room. ! Had to go to the pool side to get WiFi. Even that is was not fare, but with a sick sister with us, it would have been nice for especially her to have her WiFi in bed, or in the sitting room. Everything was wonderful the only thing I would suggest is a ledge or barrier and the foot of the shower to contain water from spilling onto the rest of floor. We felt badly having to use up clean towels to dry the floor. The property is to nice. lol. Perfect location clean and nice friendly Staff. I wish there was another method of using the stove without matches. I wasn't fond of the lizards and small ant-like insects that shared the room with us. I have nothing negative to say! Just as an information though: you definitely need a car to go places, restaurant, supermarket, beach etc.